Despite sub-zero temperatures in Cache Valley, seven Cache Hikers met for a winter excursion to Sink Hollow: Jane, Dave P., Nikolai, Alex, Maggie, Monika, and the trip leader, Dave W. We organized carpools and drove to the Sink Hollow Winter Trailhead near Beaver Mountain. Snowmobile trucks and trailers nearly filled the parking area, but we were able to find space along the edge for our cars. A new map on a signboard near the parking area includes rules for both motorized and non-motorized users (see below). 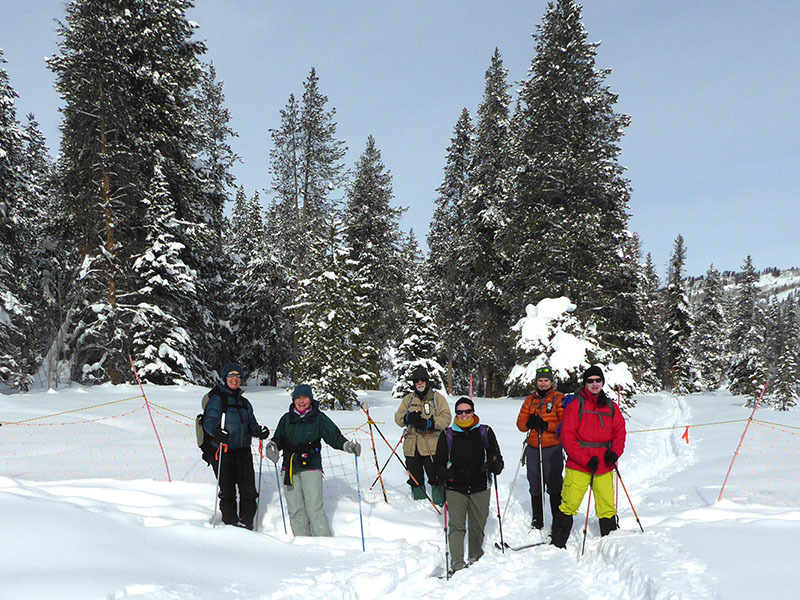 Alex, Dave P. and Dave W. used cross-country skis while the others were on snowshoes. We followed the groomed snowmobile trail for the first 0.2 miles before branching northward on the non-motorized trail. 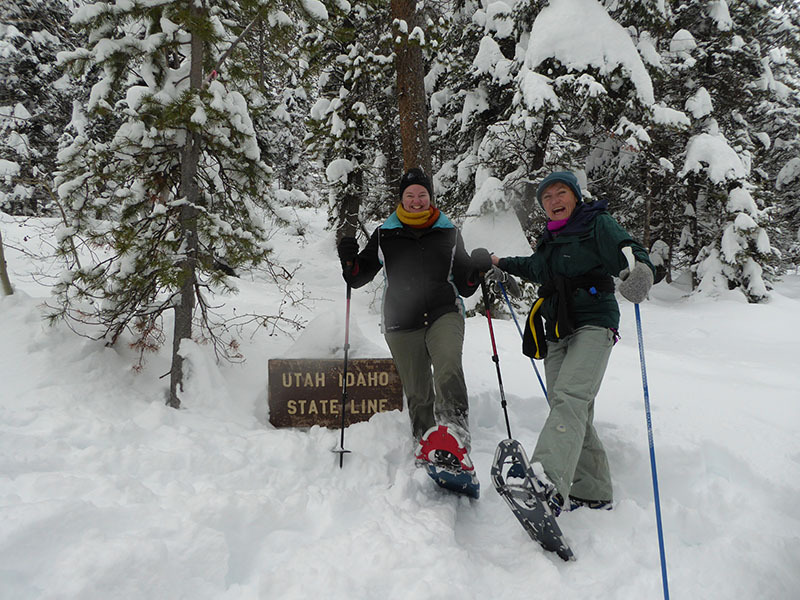 A couple of Cache Hikers had gone up the previous day on skis to break a trail through the deep snow, but it was still slow going, especially for the snowshoers. 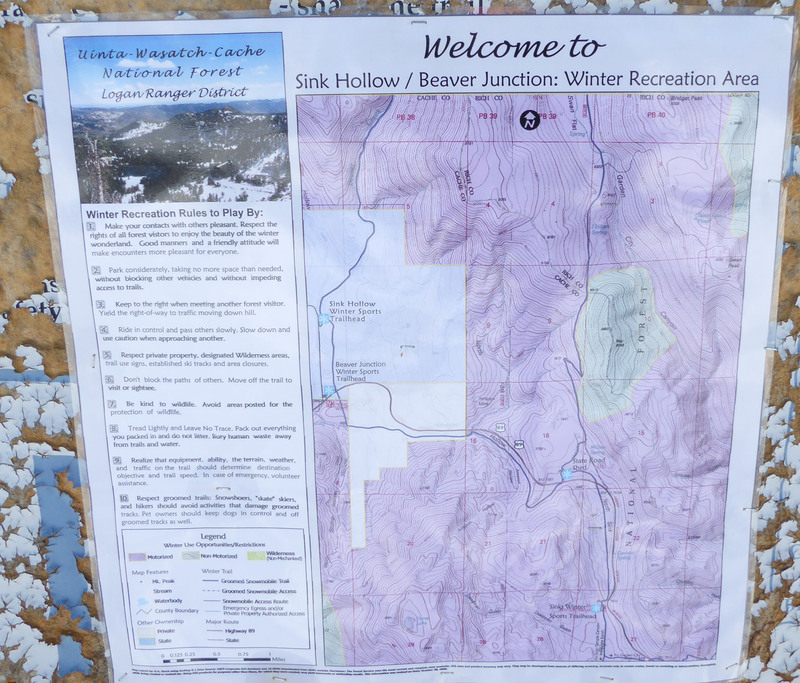 Due to a temperature inversion, the weather in Sink Hollow was much warmer than the polluted and frigid air lower in Cache Valley, obliging us to shed clothing layers as we trudged up the trail. Except for a handful of burned trees, we saw little evidence of the forest fire that burned here this summer. We also observed snowshoe hare, weasel and mouse tracks in the snow as we traveled. About 1:30 we arrived at the sinkhole and ate lunch nearby. 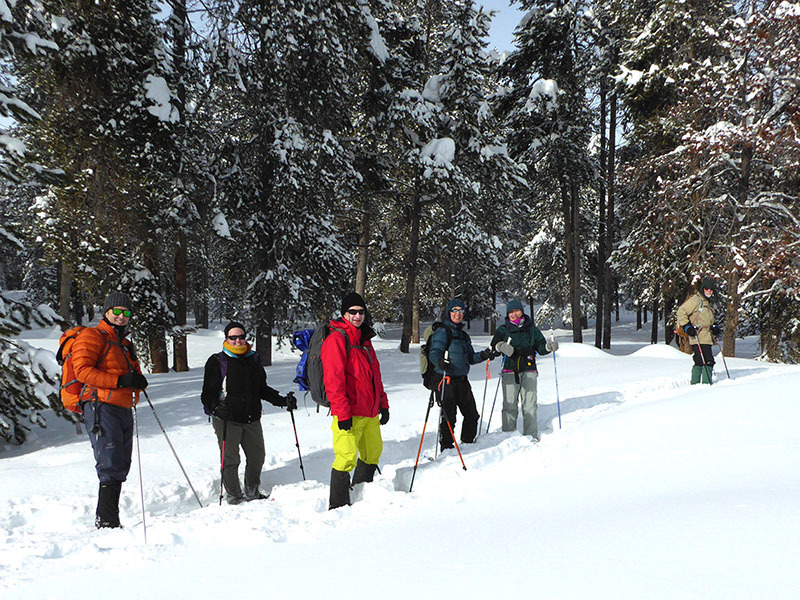 A few Cache Hikers continued a short distance north to the Idaho border. 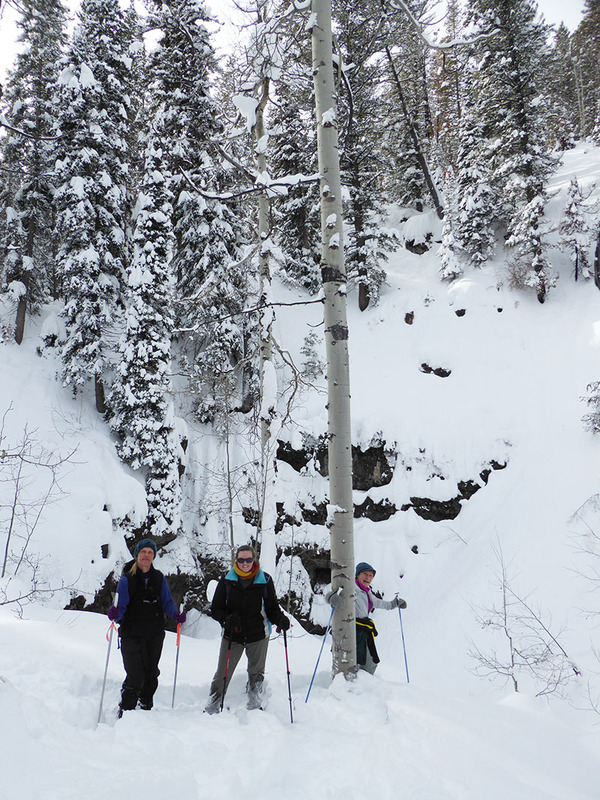 The skiers enjoyed a fast run back down to the trailhead while the snowshoers (of course) took a bit longer. Partly cloudy skies changed to cloudy as we traveled but the forecast precipitation did not start until after our trip. It was 30° F at our lunch spot with 51 inches of snow depth. Thanks for Dave W. for the narrative, photos and GPS work. On the Sink Hollow Trail Happy to be in Idaho!